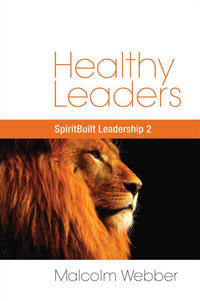 In recent Letters, we discussed various fundamental issues related to building leaders. Here are some continuing thoughts on this matter. This is the key thing Jesus told us to do in the face of a leadership shortage: pray! However, this is often the last thing we actually do. The old adage, “When all else fails, pray” is utterly unbiblical. We should bring everything before God in prayer before trying anything else. The significance of Jesus’ words cannot be overstated: His response when confronted with an acute lack of godly leadership was not to put on a “leadership seminar” but to pray. So do this. Pray that God will raise up more leaders, better leaders, present leaders, future leaders. Pray that God will move on the heart of the one in whom you see the potential. God is the One around whom the issue actually revolves. c. Give them assignments that create a desire to learn. The desire to learn is particularly high when new knowledge or skills are needed to do an existing job better or to complete an assignment that is altogether new. A person’s latent desire to learn becomes a manifest need to learn when success depends on the mastery of new competencies. d. Train them according to who they are – according to their giftings and passion – and not just according to what the organization needs at the moment. The more that people are plugged in to fulfilling their own personal destinies, the more motivated they will be to grow. Everyone has certain “motivated abilities”; there are particular things that they are good at doing and want to do. The better we can match a person’s given responsibilities with his inward motivated abilities, the more willingly he will advance. e. Provide resources to assist them in learning. Such resources might include access to experienced people, training events, learning materials, etc. f. Encourage them constantly. When people start moving down a new path, they need frequent encouragement, especially when they encounter the inevitable obstacles, unexpected problems and the uncharted forks in the road. g. Be careful to protect those who try and fail. Almost everyone admits that learning requires risk and inevitable mistakes, yet organizations are frequently characterized by zero tolerance for errors. A learning environment must allow second chances, and present a tone that mistakes are acceptable as long as one learns from them. In fact, one should cultivate an atmosphere in which mistakes are expected! If someone makes no mistakes that means he’s not trying anything new, which means he’s staying in his own comfort zone of what is already known and mastered, which in turn means he’s not growing as a leader! To grow, one must make mistakes. No baby ever learned to walk without falling down many times. No concert pianist ever learned to play the piano flawlessly at her first attempt. A teacher of ballet was once asked about her young ballerinas, “Could you ever tell when a young girl would become a prima ballerina?” The teacher responded that while all the girls were limber and very flexible when young, the future prima ballerinas were the ones who were willing to make fools of themselves. This is also the mark of a good leader: he is willing to take a risk and to try something new. Therefore, the mentor leader must build an environment around the emerging leader that not only makes risk-taking possible, but also proactively encourages it. A friend taught one of my sons to walk on his hands. The first thing he did was to have my son stand up on his hands and then fall forward as he caught him. After doing this several times, my son overcame his natural fear of falling forward. The fear of falling forward is the greatest inhibitor to people learning to walk on their hands (in case you were wondering). But after my son actually fell forward a couple of times he realized that “failing” was not that painful after all. This emboldened him to continue to learn the new skill. Thus, to teach people to walk on their hands – or to do anything radically different – you must first provide an environment that reduces the costs of failure. It is this way with leadership. The mentor leader must reduce the costs of failure for the emerging leader. He must make it possible for him to make a mistake without being crippled by it. h. Provide some time for reflection and analysis. We all need time to consolidate learning. Unfortunately, much experience – both positive and negative – is wasted because leaders aren’t allowed, or forced, to stop and make sense of what just happened or to digest what they just learned.